Well. I left campus at around 8pm and the sky looked awesome, as did the forecast (awesome being not below freezing) so I emailed Chris B. and we coordinated observing at his preferred dark sky spot not far out of town. I scrambled to fix dinner, put myself together, and get back to campus to load my gear, and off I went. My phone rang as I was leaving town on #33 and Chris was just heading out [“Hello?” “Hi where are you?” “I just passed your house, wtf are you?! !” said excited, to go observing before the deep freeze] so we agreed I pull over and he would honk at me as he passed to caravan. I’d been to this site only once before [I think], and was not completely confident I would find it. 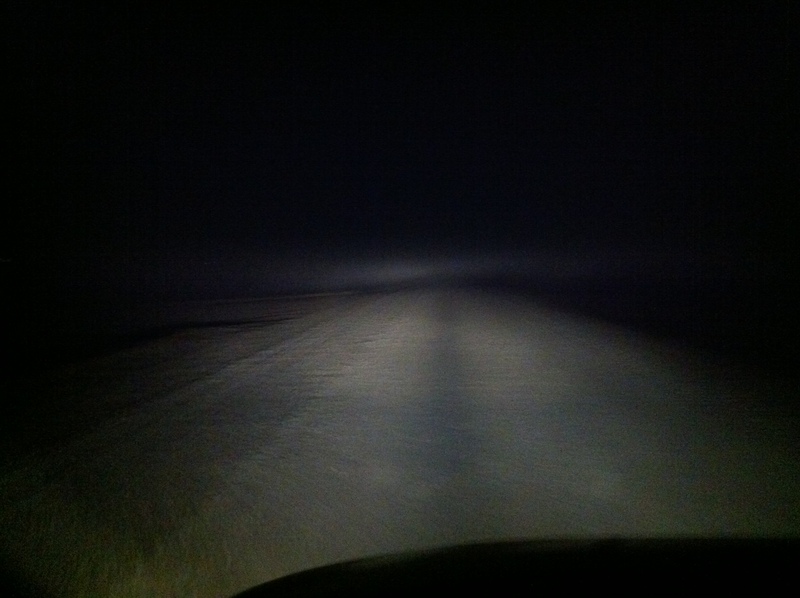 Saskatchewan grid roads are really dark at night. I ended up looking at Sky Safari on my handheld and thought I heard a honk, but didn’t actually see Chris’s red car, so I just pulled back on to the road and carried on. Aside from being able to see Polaris in my polar finder scope, just about everything about my setup was wrong. With a rough polar alignment I attached the mount in an orderly fashion, and then the optical tube assembly (OTA). My eyes were not dark-adapted and I don’t have a headlamp. I loosened the dovetail too much and the two bolts and left portion of it fell on the ground. I don’t think I did a great job of removing the dust/dirt from it, so will have to clean today [I suspect this because of the sounds made while removing the OTA later]. I forgot to use my polar finder scope before attaching the OTA, which is not the end of the world, but the lighter weight might make it easier to turn the azimuth knobs. I was able to not-to-awkwardly reach around with my red-light to illuminate the reticle, but the problem remains that I don’t know what is the correct way to position the etching. Do I spin the entire piece out of the housing? Do I turn the focus eyepiece? I don’t know. I also could not quite see the Big Dipper through the polar finder scope, so aligning it to the etching didn’t happen, really. But I spun the thing in its housing to generally match the position of the constellation in the sky, adjusted the alt-az and placed Polaris right in that little circle, and locked the mount down. I powered up the mount and after fumbling a bit with the hand controls I took a car break to review parts of the manual [I wasn’t being prompted to enter my geo co-ordinates so needed to review: after pressing ENTER to confirm the mount is lined up, hit UNDO to enter updated date, time, and position]. I chose the Two-Star alignment and the first star in the west that the mount suggested was Vega, which I could identify with my naked eye, remembered it was bluish, and confirmed with Sky Safari. The scope slewed, but then the real problems began. I could not identify Vega in the finder scope, and I could not identify Vega in the 40mm eyepiece of the telescope. After many attempts at re-setting the starting position of the mount, re-slewing to Vega, trying to operate the hand-controller to move the RA and DEC axes, I was hopelessly lost. My big problem was that I had not aligned the finder scope with the telescope, and try as I might with Vega, I failed. I tried a couple of other stars, none of which as bright as Vega, and failed. So I figured if I could centre that glowing Jupiter in the eyepiece, and align the finder scope, I’d have an easier time with the two-star alignment. So I slewed to ‘Jupiter’ – so noted because I knew that without a polar alignment it would not slew accurately – figuring it would be easy to spot in the eyepiece. Not so. I used the hand controller to slew left, right, up, down, in every combination, asked the mount to re-slew to the planet, tried to eye the position of the OTA itself. Nothing I could do got that taunting planet in my eyepiece. Another problem was the height of the OTA, and finder scope. In Grasslands I hadn’t extended the tripod legs at all, so there was a lot of stooping. I had the opposite problem last night: I extended the legs too much, and couldn’t reach the finder scope!! A step-ladder would have come in handy, and at some point I started standing on my tool box [hesitant to get dirt all over it with all that fancy stuff inside]. how to use the darned Polar Finder Scope – what is the correct method of rotating the PFS to get the etched reticle into position? how to align the regular finder scope to the telescope, and at what stage of the setup? develop an ‘eye’ or an expectation of what guide stars and planets *should look like in the magnified finder scope, 40mm, and 24mm eyepieces. the hand controller: il faut fair patience ! Basic menu commands, and, importantly, how to control HC movement speed and directions. On a nicer note: I saw two fabulous meteors, the milky way was discernible, and the sky is pretty beautiful. On the drive back out the fog was amazing – wisping across the road, with the fog ceiling ranging from ground level, headlight level, eye level, above the head. Which reminds me: I really should get a dew shield, eh? This entry was posted in Imaging Equipment and Telescopes, Observing. Bookmark the permalink. Good one — keep on trying, and learning! I just got my CGEM set up with my old LX-10, and these are useful tips for things to watch for on my upcoming first attempt. Thanks! Risa, I enjoyed your adventurous tale. It is easy for the experienced to take a lot for granted. Good luck in your journey. Now, a question: where’s Chris? Not still waiting, I hope! cheers, Blake. Trial by fire does work sometimes “}. Looks like the mild weather is holding for a while so getting out to observe is an opportunity not miss especially with all the Aurora activity. Hey you fellas…thank you for your encouragement [James]. Good luck, Andy – be sure to keep me in the loop once you get rolling! 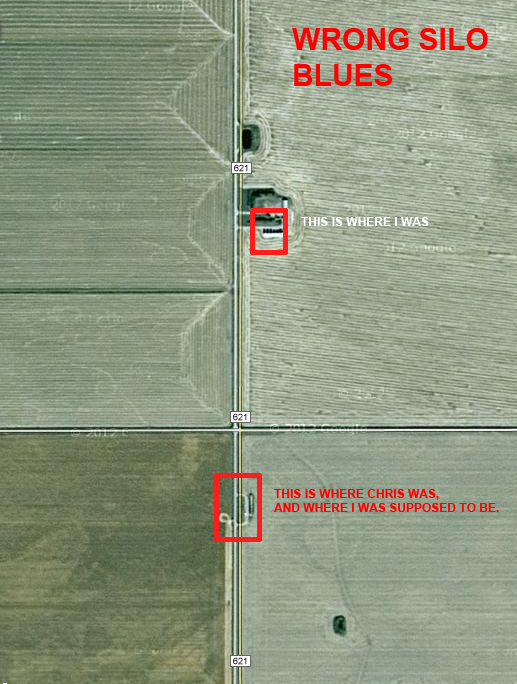 Blake – Chris was out there, just a grain elevator away. He couldn’t believe I didn’t hear his stereo blasting! Apparently in my distraction with the gear I missed the aurora – again. Next time…..